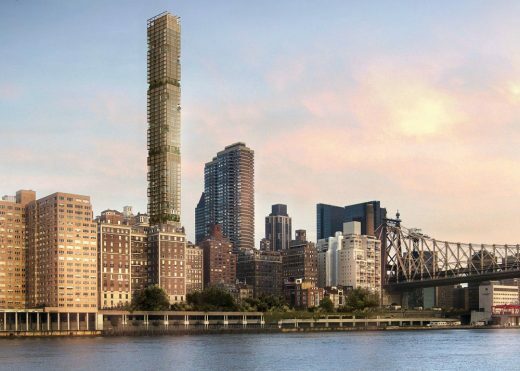 Topping Out news: the tower’s form is a pure expression of its function. The building is divided vertically into three distinct volumes: a seven-storey base, knitted to the urban grain at street level; a recessed central section; and a slender formation of premium floors at the top. 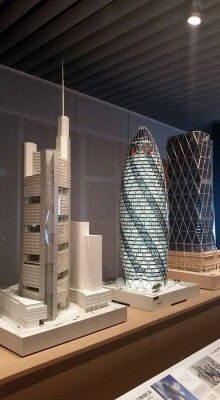 A planning application has been submitted by this celebrated British architecture office to the City of London Corporation for a new public cultural attraction which would be sited next to 30 St Mary Axe. 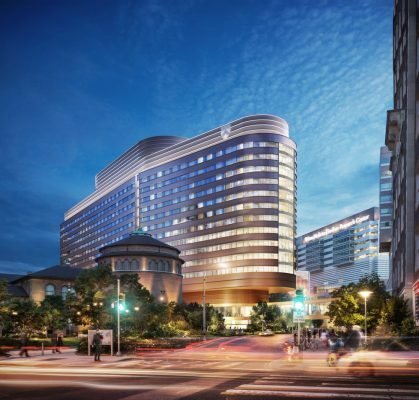 Apple Cotai Central offers a calm complement to the buzz and excitement of Macau, responding to the desire for an inviting, contemplative space, where technology, entertainment and arts come together to make a positive contribution to the city. A unique amalgam of community-based amenities, heritage restoration, high-end luxury residences, and public green space, 50 Scollard lays the foundation for a rich social anchor within a vibrant district in downtown Toronto. 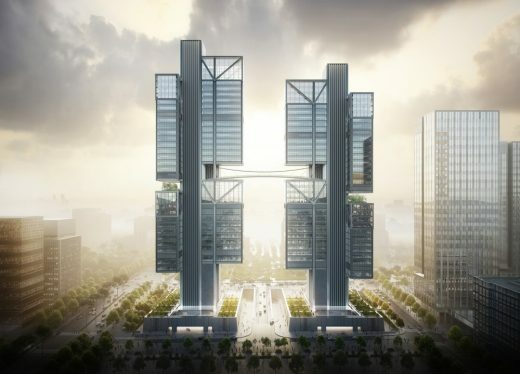 Vision unveiled for the new headquarters for DJI, the world leading robotics company, currently under construction in Shenzhen. 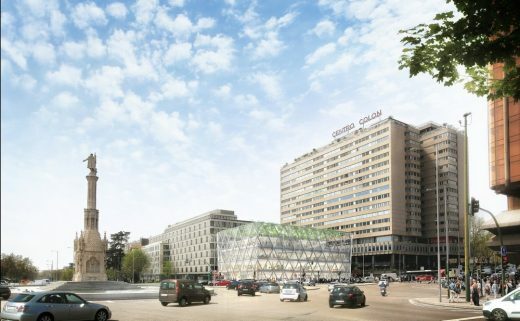 The competition winning entry for the new Marseille Airport extension was revealed today at a grand ceremony in the presence of JC Gaudin, Mayor of Marseille; Renaud Muselier, President of the region; Martine Vassal, President of the Departmental Council; JL Chauvin, President of the Chamber of Commerce, and several other dignitaries. 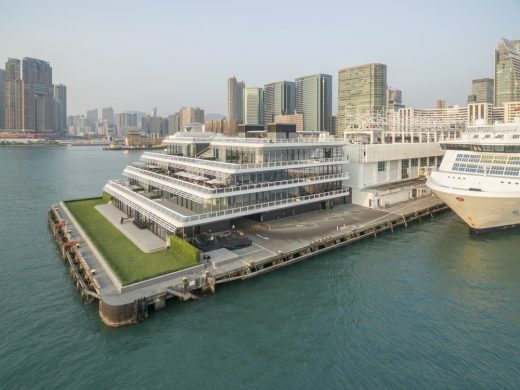 A new gateway for thousands of international cruise liner passengers, the extension to the Ocean Terminal in Harbour City, Hong Kong has opened. 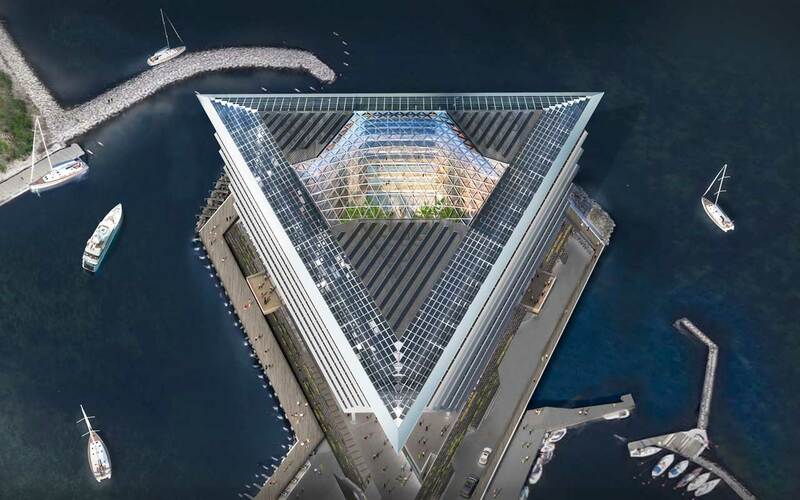 With stunning new outdoor spaces for dining and leisure capitalising on the unmatched panoramic views of the harbour, this new expansion creates a new landmark for Hong Kong. 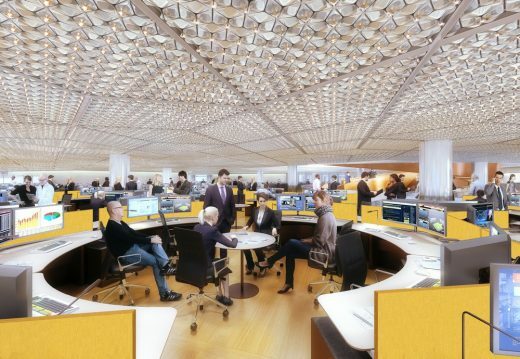 The new European headquarters of Bloomberg LP has been launched at an event hosted by its founder Michael R. Bloomberg, in the company of Lord Foster, Founder and Executive Chairman, Foster + Partners and Sadiq Khan, Mayor of London. Located between the Bank of England and St Paul’s Cathedral, the building responds to its historic context, yet is uniquely of its place and time. It is a true exemplar of sustainable development, with a BREEAM Outstanding rating – the highest design-stage score ever achieved by any major office development. This interesting project aims to renew the Carnegie Library building as a retail and education facility. The Oceanwide Center buildings comprises two high-rise towers, along with new public spaces and pedestrian links through downtown. 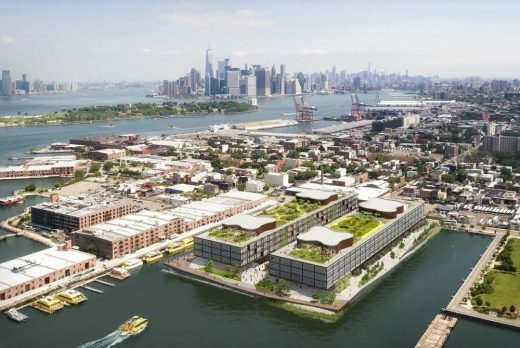 The two buildings provide 1.35 million square feet of office space and 650,000 square feet of residential units. 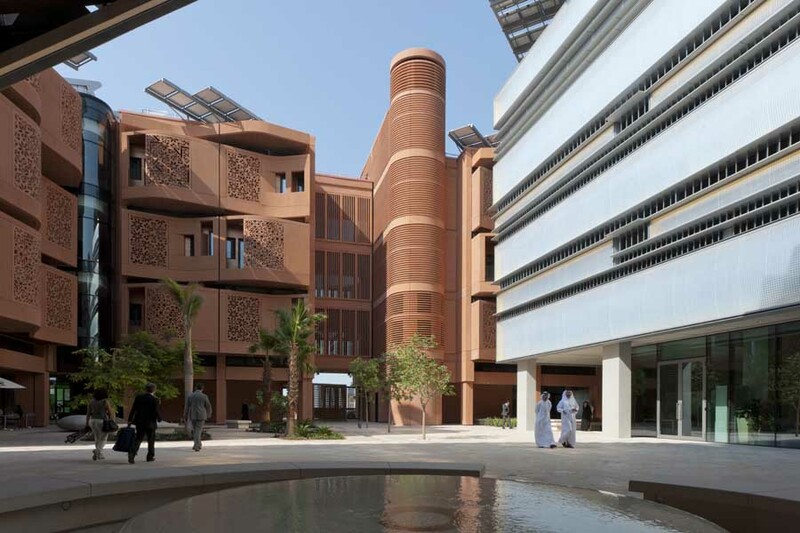 Foster + Partners is transforming the landfill site of Bee’ah, the leading sustainable waste management company in the Middle East, located in Sharjah, United Arab Emirates. The city is expected to reach its goal of zero landfill waste by 2020, and once it does, the current landfill will no longer be of use. 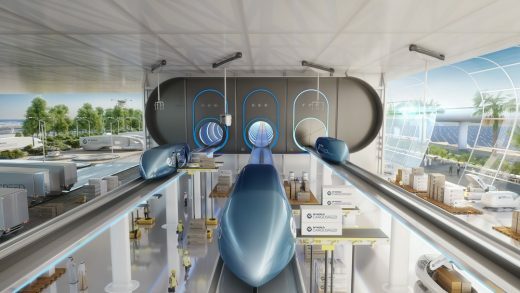 Foster + Partners is redeveloping the site with a sustainable masterplan that reflects Bee’ah’s “vision of a world where clean energy is generated sustainability and utilized both sparingly and efficiently,” according to the British architectural firm. The site is located next to the yet-to-be-completed Bee’ah headquarters, a sustainable, renewable-energy powered complex designed by Zaha Hadid Architects. 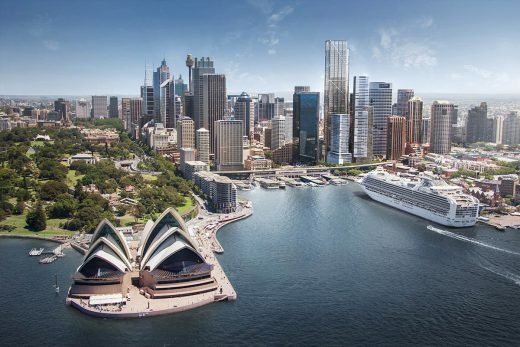 Foster + Partners has been selected as the winners of an international competition to design a new office tower for Sydney’s Circular Quay, close to the city’s harbor and iconic Opera House. 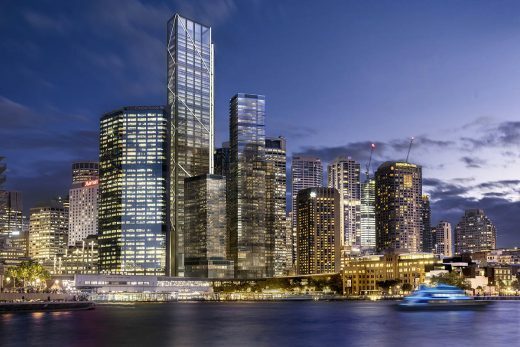 Located between George and Pitt streets, the tower will serve as a centerpiece of the urban district’s reinvigorated masterplan, featuring a scheme characterized by its array of pedestrian pathways that cross through the site at multiple levels. The laneways will be lined with retail shops, cafes and bars. The tower will feature an innovative façade made up of a series of external cross-brace members that put the building’s structural engineering and load-tracing on display. On the south elevation, three bays of transparent elevators will be book-ended by the building’s concrete cores, animating the façade and articulating the structure’s vertical elements. 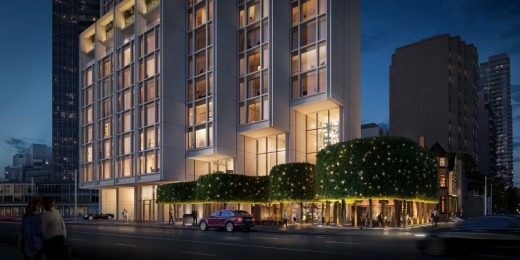 By offsetting the core to one side and pushing the structure to the exterior, the interior floor plan can remain open, allowing for flexible arrangements for future tenants. 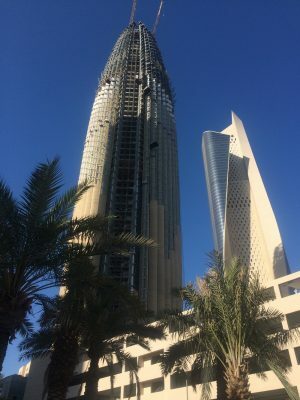 Located on a prominent site, the 300-m-high headquarters tower for the National Bank of Kuwait will have a distinctive presence among the high-rise buildings of Sharq, the city’s growing financial district. 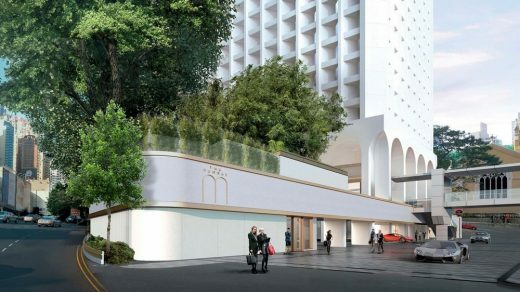 Foster + Partners’ competition winning scheme for a new luxury hotel and serviced apartments in the heart of Makkah has been revealed. Inspired by traditional Arab architecture, it’s design reinterprets the traditional dense building clusters, creating a new contemporary vernacular that respects its sacred location. Foster + Partners has won an international competition for a new £500 m capital for the state of Andhra Pradesh in south-eastern India, reports the Architects’ Journal. The architecture studio, working in partnership with Mumbai architect Hafeez Contractor, was chosen for the prestigious commission ahead of an undisclosed shortlist of international firms last month. Planned to complete in 2022, the project will create a new municipal capital for India’s eighth largest state, which lost its former capital, Hyderabad, to the newly formed state of Telangana two years ago. The 365ha masterplan will deliver a new civic core for the planned 200km2 settlement on the southern banks of the Krishna river, known as Amaravati. New image of this design. The building features flexible, open floorplates of up to 100,000-square-feet (9,300 m2), that are ideal for new, innovative ways of working that characterise the burgeoning creative and tech sector in New York. “I am devastated by the news of the loss of Zaha Hadid and cannot comprehend the enormity of her passing away. I became very close to her as a friend and colleague in parallel with my deep respect for her as an architect of immense stature and global significance. She was one of the very few architects as friends who was invited to my 80th Birthday Party in London last year. By a strange coincidence some days ago I received an email from one of her clients – someone she had designed a home for. With great pride he sent me about twenty pairs of images. Each pair showed the visualisation that Zaha presented and the reality as finally built. 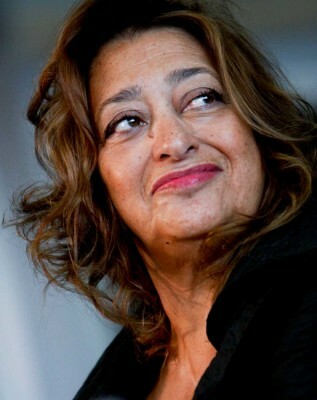 It was a beautiful juxtaposition of what Zaha promised and what she delivered. I was so looking forward to sharing with her these intimate insights. Tragically that will never happen. 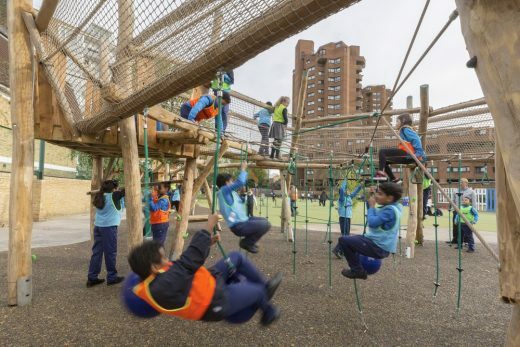 Tokyo, 18th January 2016 – The large-scale exhibition “Architecture, Urbanism, Innovation”, showcases more than 50 projects completed by the architecture practice over the years. 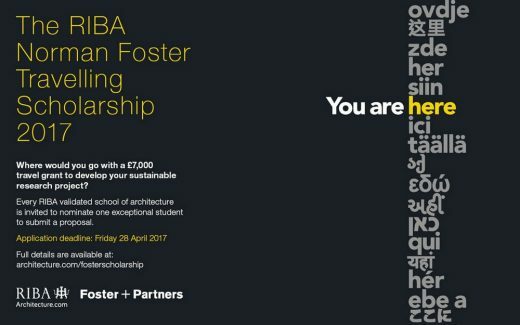 It is organized in three sections with the aim of showcasing the most significant projects among over 300 carried out by Foster + Partners architecture firm throughout its history. 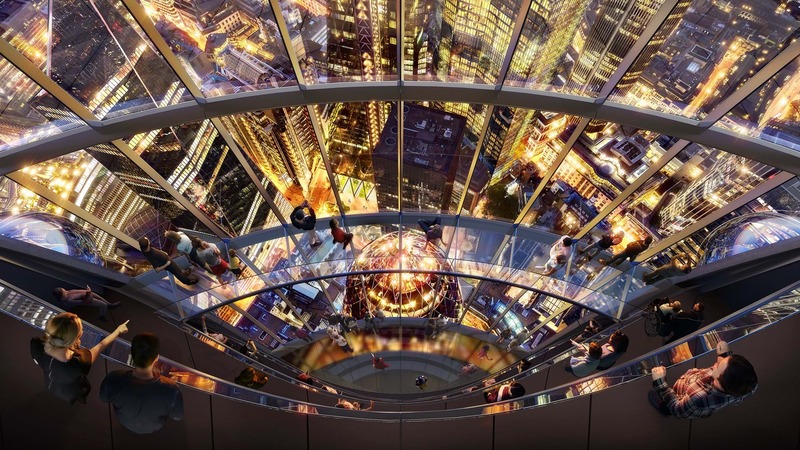 –	Architecture, Urbanism, Innovation: Ideas for Future Lifestyles. The exhibition is a detailed showcase of 50 projects selected among all projects of the architecture firm completed or currently under construction, through models, videos, drawings, sketches and computer graphics. Planning permission received for this major new campus for Apple in California. The SSE Hydro has a seated capacity of 12,000. It will form a major boost to both the Glasgow economy and the city’s stature. 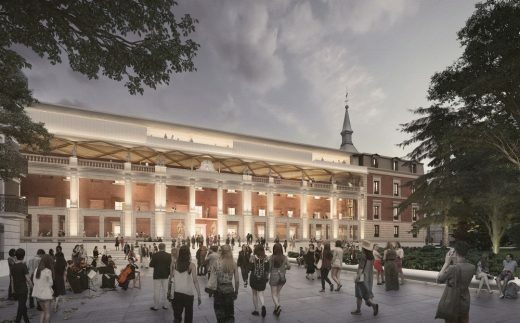 The first purpose-built concert venue of its scale, it will play host to around 140 events each year, including national and international artists and bands as well as being a venue for major comedy stars and sporting events. Arranged around the themes of infrastructure, high-rise, urban design, history and culture – all within the context of a sustainable agenda – the works on display highlight the incredible diversity of the practice’s work. 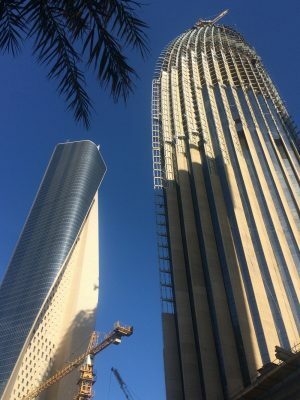 Details of a number of new projects underway in Malaysia will be revealed, including Arcoris Mont’Kiara and IB Tower, a 58-storey tower in the heart of Kuala Lumpur City Centre. This hotel buildings has been designed by Foster + Partners from the exterior right down to internal furnishings and fittings, rather like in a Frank Lloyd Wright house. 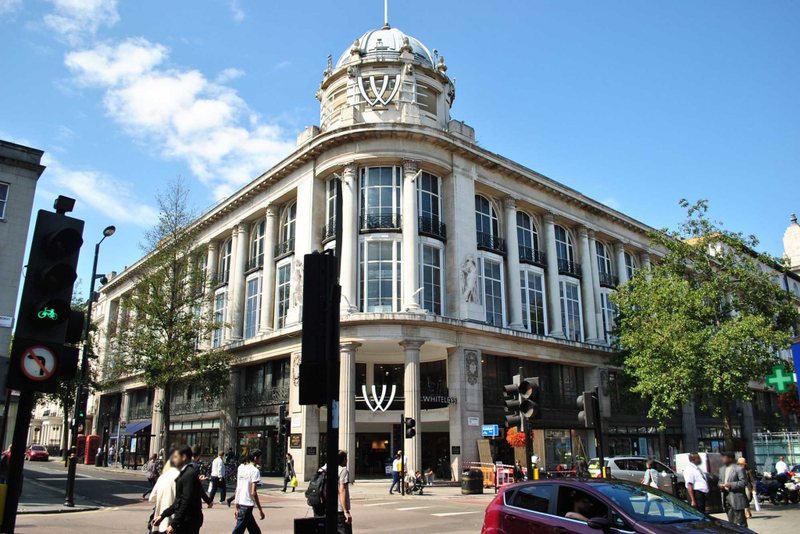 The building completes the grand sweep of buildings of Aldwych Crescent, repairing the urban grain and restoring some glamour to the West End. 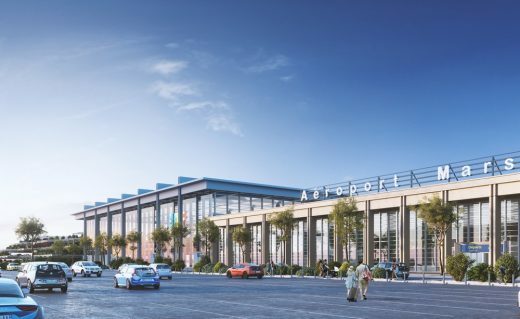 Foster + Partners to submit a proposal to the Commission for a new hub airport in the Thames Estuary. This highly controversial issue has been challenging everyone from pliticians to conservationists with key architects getting involved. Sustainability must be at the heart of any decision. 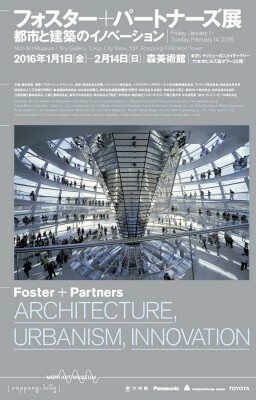 Foster + Partners has been ranked the world’s tenth largest architecture practice in the World Architecture 100 (WA100) survey. Design revealed for new flagship showroom in the Commodore Criterion building in Midtown. 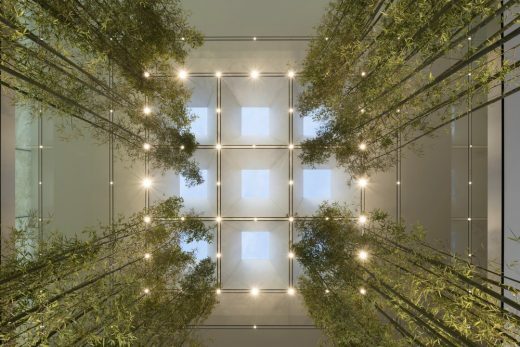 The firm chose Foster + Partners to refurbish the interiors of the six-storey building northwest of Madison Square Park at 5th Avenue and Broadway. 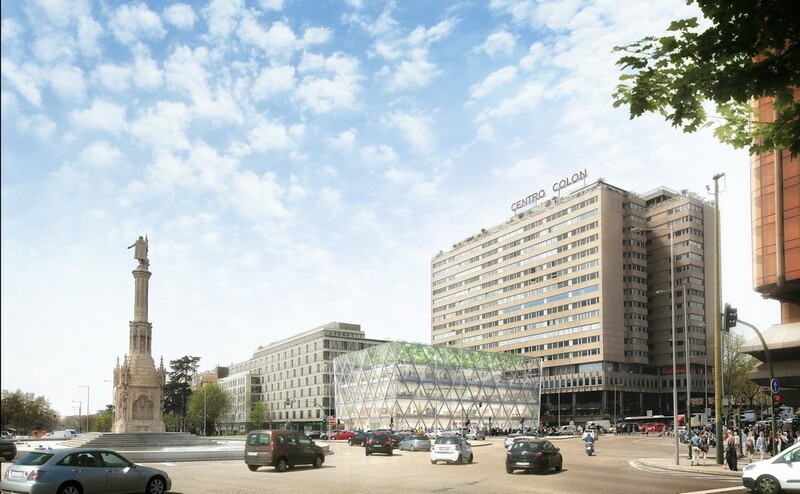 This development is due to be completed in early 2014. 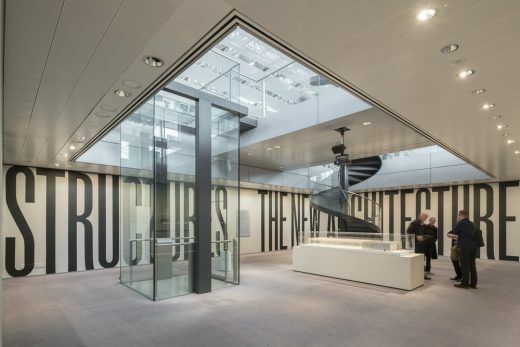 Lord Foster runs one of the most celebrated architect offices in the world of the last century. Not only prolific, the architects practice has consistently pushed boundaries, especially in terms of materials and technology, but also of form and building envelope. Norman was born in Manchester in 1935. 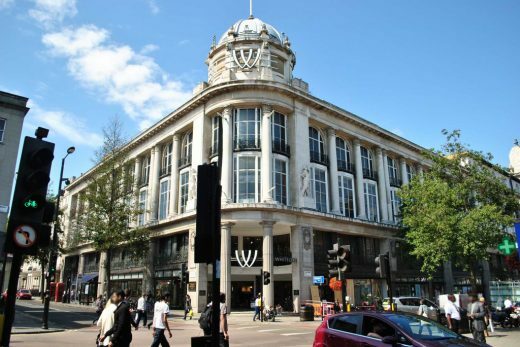 Having moved to London, and worked in Team 4, he established Foster Associates in 1967. This continued the Hi-Tec (or High-Tech) style of Team 4 with influences from Archigram. Prefabrication and modular design were clear goals with a passion for good detailing. One of Norman Foster’s key early works was the Willis Faber Dumas building (1974) in southern England. It eschewed traditional wet trades for the facade and compartmentalised space within. 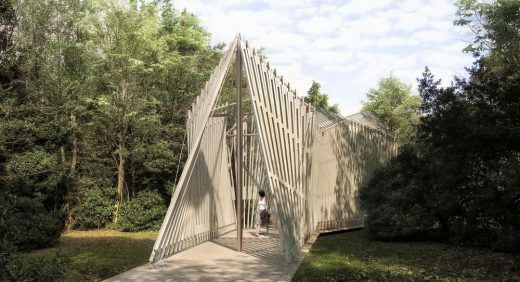 This design, along with the Sainsbury Centre for Visual Arts at UEA and the former Renault Distribution Centre, celebrated technology and notions of flexibility in architecture. Related architects at this time (early 1980s) included Nicholas Grimshaw, Richard Rogers and Michael Hopkins. In fact, this reaction to the doctrines of Modern architects Corb and Mies can be traced back to the late 1960s, for example Norman Foster’s Reliance Controls Electronics Factory (1967). During the Postmodern years the Foster + Partners style became a little more colourful but never strayed from technological rigour. In the 21st century – with new computer technology – forms have become more flowing, for example Beijing airport and the Swiss Re Building. 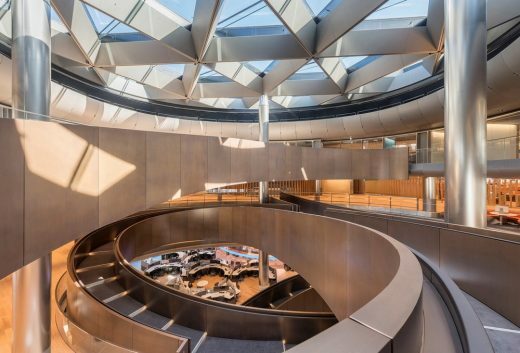 Over the years a stunning array of buildings and bridges has emerged from the Foster + Partners architects office. We selected the key designs by the practice, in chronological order below. Comments on the selection welcome. These Foster + Partners designs aren’t selected simply due to their fame – we’ve excluded London City Hall and the Millennium Bridge for example – but because each design signified a strong creative achievement.